What do we offer through our Yoga Program? Inspired Fitness Yoga is a sacred, powerful, safe and nurturing studio filled with warmth, light and love. Our Power Vinyasa Flow, Restorative, Basic Vinyasa Flow and Nidra classes invite you into a supportive physical and spiritual experience that will awaken both mind and body. Yogis of all sizes, shapes and experience level are welcome. Vinyasa Flow focuses on mental meditation, fundamental strength building, and breathing techniques to teach your body flexibility and allow relaxation. It will bring balance and harmony into your practice while challenging your body as well. If you'd like to learn how to build more strength, flexibility and balance, yoga is a perfect class to patiently become one with your body. All levels welcome. Free to members and only $10 for public! Not sure if yoga is for you? Interested in trying out a different teacher? This class is for you. We want to bring yoga to our community and help new and rising teachers on the Inspired team grow their following. Taught by our team of teachers. All levels welcome. Broaden your yoga practice and join the Inspired community once a month for a deep dive into a specific are of yoga. All levels welcome and open to the public. New to yoga? Interested in taking a yoga class but not sure what this “yoga thing” is all about? 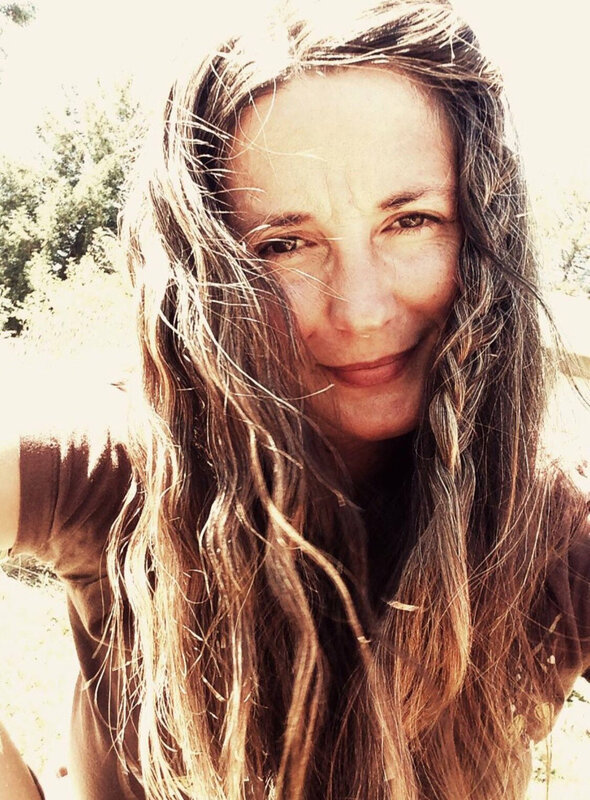 Sign up for a one on one session with one of our yoga teachers. They will take you through the basics and set you up for a successful class. All levels welcome. Set by appointment. Love yoga but need options for certain poses? Struggling with one or more specific pose? Sign up for a Yoga Tune-Up. Sometimes as students, we have more questions that can be addressed in a group setting. Schedule a tune-up and don’t miss a breath or pose in your next class. All levels welcome. Set by appointment. Rock & Roll into your weekend with not just ONE but 2–5 teachers! We love ALL of our Inspired Yoga teachers and you will too. Join us for Rock & Roll Friday Flow while 2–5 teachers each take a section of the class doing what they do best. Spreading yoga love, creative sequencing and the tie that binds us ALL together, Inspired Yoga for you! Relax, restore, and reconnect with this soothing restorative practice. Together we will open the hips, side waists, hamstrings, and lower back to release deep-rooted tension. Rest in the quiet moments in between as we allow space for meditation and pranayama. Close your day feeling centered and rejuvenated. Tapas, the third of the five Niyamas In Yoga, is the practice of actually implementing our plan for self-improvement. It means “to heat.” Tapas Tuesday Flow invites you To melt away what no longer serves you and to make room for the new. In this heated, 75 minute flow, the student is invited to feel the heat of resistance, melt away old habits and offer negative behavior and thoughts into the fire of tapas and chart a new course towards freedom. Although this flow is not recommended for the beginning yogi, we do welcome all levels and encourage you to find your power of staying where you are while building your Yoga base in this class by witnessing what’s possible through each breath. Traditional flow class with creativity in sequencing, arm balances taught with variations for all levels and sound healing to close each class along with a promise that what you build on your mat will light you up off your mat. Sweat, Pray, Flow yoga takes the student on a journey of cleansing the mind and body. Students are lead through powerful sequencing that challenges the body, mind, and spirit. Class winds down with dynamic restorative postures that will open your heart and clear your mind. This heat building class brings students to sustained awareness while building flexibility, endurance, and strength. Focus, self-love, and clarity are just a few of the many positive benefits of this class. The yoga room is heated to 85-90 degrees, so be prepared to sweat! Relaxation is the name of the game. 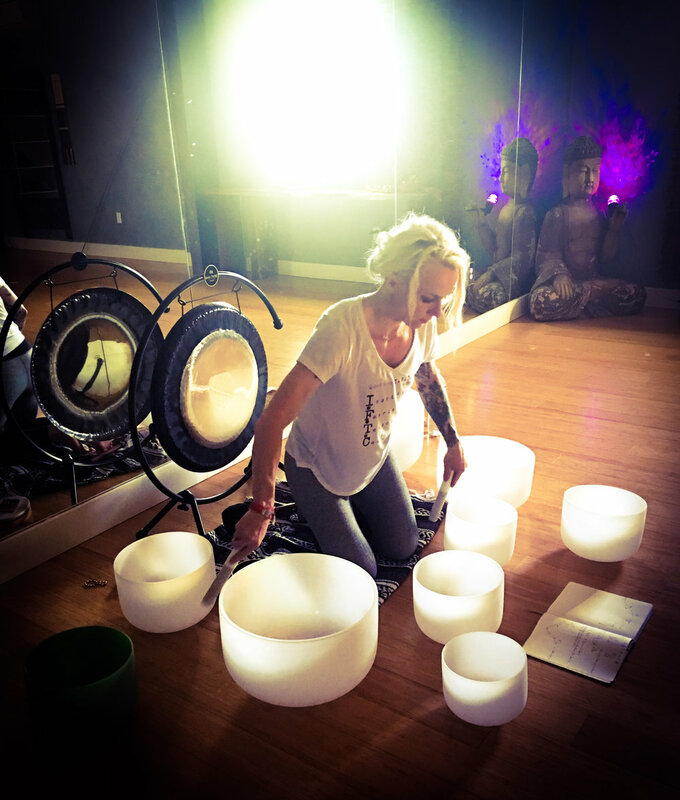 The healing powers of gentle yoga, breath, and meditation with the vibrational experience of high quality crystal singing bowls and planetary gongs harmonizes the body and releases stress. Each session will focus on a theme to release blockages and cultivate a life of freedom and happiness. We spend the first half of the session preparing the mind and body with very gentle yoga, relaxed breathing, and a meditation before we recline onto the mat and allow the powerful vibrations to carry us away. Prepare to melt onto your mat and leave with a deep sense of peace and relaxation. Your Soul will thank you! An hour of yoga practice with sound healing followed by a 30 minute mediation practice. Co-led by our sound healer and restorative teachers. A sacred space for contentment to rise above the challenges of everyday life through a transformative practice of self discovery that combines gentle, sacred yoga movement, sound healing, and meditation. She believes that with breath and practice, anyone can change their life for the better--that we all can become comfortable with the uncomfortable and make forward progress.